Gilas Pilipinas may have won just a single game, their last against Senegal, at the recently-concluded FIBA World cup held in Spain yet Filipino fans were euphoric as if the team brought home the gold medal. Rightly so, for the way the team played Filipino fans could not help but feel proud. 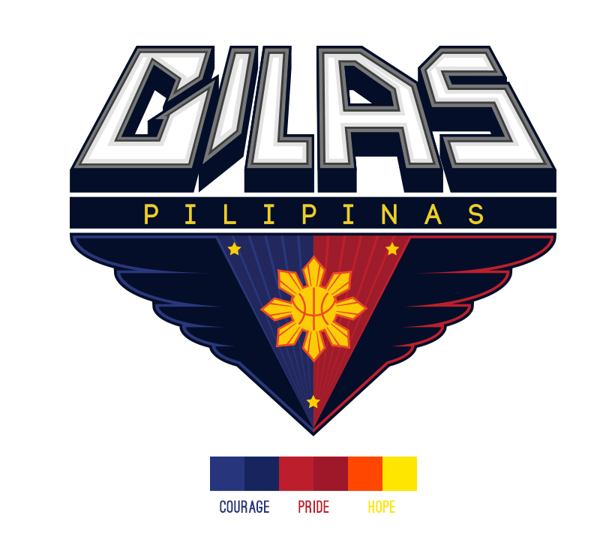 True to their battle cry “Laban Pilipinas! Puso!”, the undersized players gave their taller and heftier opponents scary moments. Three of the four games they lost were close ones decided only during the closing seconds of the game. It was only after four decades that the Filipinos had a chance to play at the center stage of basketball and they gave a good account of themselves. But something in me is withholding celebration…the presence of naturalized players. We earned the ticket for the trip to the FIBA competitions in Spain by placing second during the FIBA Asia last year, that was with the help of Marcus Douthit. At the FIBA World, the team was reinforced by Andray Blatche, the team’s eventual top scorer and rebounder. The question is, without those naturalized players how far could we have gone in those FIBA jousts. We’ll never know. Perhaps worse, but who knows, it would have been better. We know that naturalization of players is allowed by the FIBA. And we are not the only country doing such. It was reported that there were at least nine players who were allowed to don the colors of another country during the latest FIBA tourney in Spain. Even basketball powerhouse Spain had one. Why do we need to do it? Yes, we get dwarfed in international competitions and by naturalizing players we get to add ceiling to our national team. But by doing so we deprive some local talents the opportunity to be part of the national team. We also spend precious dollars for these naturalized players. It was reported that Blatche, for his efforts, were paid around a million dollars. Would we really feel completely triumphant should we win a championship with a naturalized player in tow? Having naturalized players can be construed as admitting that we are not talented enough to compete in the international level. I believe that while their inclusion to the national team adds ceiling it, on the other hand, lessens the respect of our competitors. I am finding it hard to celebrate whenever Gilas Pilipinas wins because I would always wonder if we could have won without the help of a foreigner who, by technicality, became a Filipino, a Filipino only during FIBA tournaments. In ending, I wish to mention what I consider as the best moments Gilas Pilipinas had in the FIBA World tourney. It was when Blatche was called for his 5th and final foul with less than two minutes left in the game between the Philippines and Senegal. The Filipinos stood their ground. It was when we saw the kind of heart the Filipino players possess. It was when we witnessed the kind of basketball talent that our home-grown cagers have. Those dying moments of that game is a proof that Gilas Pilipinas could compete even without the help of naturalized players. Do I write in order to gain material rewards and receive accolades? I don’t write to impress. I’m well aware of the fact that my skills in writing are nowhere near excellent. I am not even halfway my journey to excellence in writing. I am not even sure if I would get there before I breathe my last. I have a long long way to go. Perhaps I may need a dozen of lifetime (or more) in order to surpass the accomplishments of the likes of William Shakespeare, Elizabeth Browning, George Bernard Shaw, Leo Tolstoy and the likes. Neither material rewards nor accolades I crave when I write. Saying “there’s no money in writing” is like a broken record. But that’s the truth. Writing is not financially rewarding. Unless you are a script writer of one of the popular TV networks or movie outfits in your country or a novelist who belongs in the league of the likes of J.K. Rowling, Dan Brown and Stephen King. The rewards that writing gives, I believe, are hard to quantify. Such rewards are transcendental. What about the accolades? Not even! As a matter of fact, when I write and allow people to read my works I am unnecessarily putting myself under the microscope. Instead of accolades I may get criticisms instead. This is one reason why a friend said he would never write for any publication fearing that he may not be able to take negative comments that his work may generate. I may have received some good comments from my friends for some works I made in the past. But of course, those comments may have been either meritorious or simply generous. But aside from good comments some of my works have angered some individuals who in one way or another were offended. Writing sometimes is a magnet of trouble. I remember quite well when I wrote a satirical poem (about a wolf in sheep’s clothing) when I was still working in a Catholic college. The priest who felt alluded to reportedly asked the Sister-President of the college to summon me to the latter’s office so he could talk to me. However he was dissuaded from pursuing his request. The priest never bugged me again but I wrote another poem for him. So, why do I write then? It’s hard to explain. It’s something like why do people need to eat when they are hungry… why do they need to drink when they are thirsty… why do they need to take medicine when they are sick. There is a kind of hunger within me that only writing can satisfy. There’s an insatiable thirst in my soul that would go away only when I read the verses I write. I suffer from a kind of a disease that will be cured only when I write in sentences or verses the equivalent words of the thoughts and feelings that drown my being during quiet nights. Writing has some kind of a tranquilizing effect on me. I must release my pain, anger and disagreement by writing about them or else they will haunt me endlessly. When I feel wronged I haveto respond, not by violent means. I respond in a creative manner…thropught satirical poems. i do it using anthropomorphism. I just don’t keep quiet when I notice human follies, especially if displayed by my friends. Again I resort to anthropomorphism. I use animals to represent their irrationalities. It may hurt them and make them angry but the truth may be bitter but sweeter than the sweetest lie. VERO NIHIL VERIUS. Nothing is truer than the truth. Pain is like a prison cell. It is by writing that I break free from it. As my heart churns out the words I go through the pain, not escape from it. And as I write the final sentence or verse the pain vanishes. Even my happiness and satisfaction wouldn’t be complete if I do not write about them. I need to capture in either prose or poetry those moments so I can feel more deeply the joy they bring. I do write about them so I can relive those moments any time I wish to. I write not to impress but rather to express my thoughts, feelings and ideals. Writing is my freedom…my happiness. I need neither material rewards nor accolades for what I write. The poems, essays and stories I create are themselves the rewards.